Inspection fixtures provide fast, accurate results. They allow easy inspection of productions parts. Entry-level workers will achieve reliable inspections, freeing your most valuable equipment and operators for more complex data acquisition requirements. Zamora Engineering is committed to saving you time and money. When designing a robot weld fixture we adhere to a rigorous analytic process. Adequate torch clearance, accurate joint repeatability, robot reach and access, and material suitability are a few of the many parameters we review. Have a specific issue or design requirement? We have a custom solution. 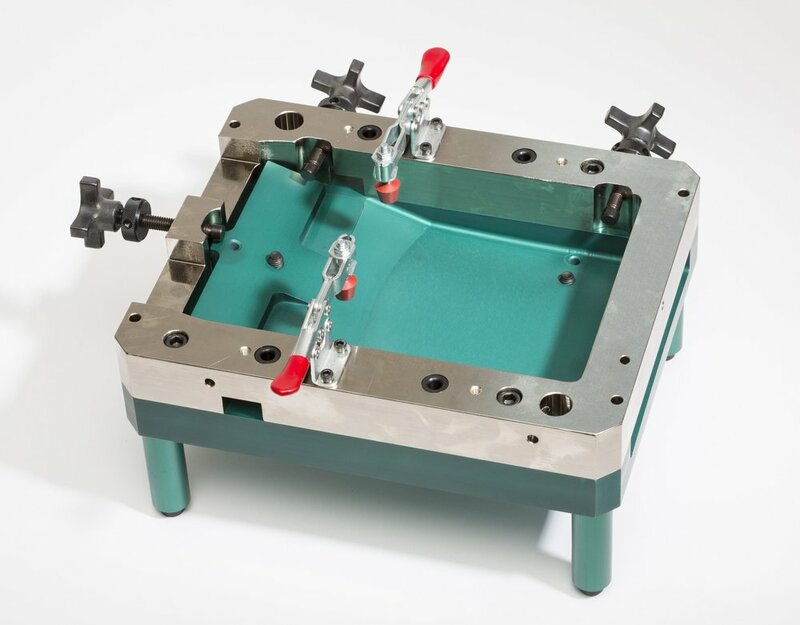 Machining fixtures are required for most large parts or when the parts are not suitable for vise clamping. Our long part run fixtures use hydraulic or pneumatic clamping to increase throughput, decrease operator fatigue, and improve clamp load repeatability. We strive to ensure your machined parts will comply with the required specifications. Our heat treat fixtures correct the distortion that results from some casting processes. To achieve this, we build a fixture to replicate the original size and shape of the distorted part. The foundry loads the problem part into our custom fixture, and places it in an oven heated to very high temperatures. 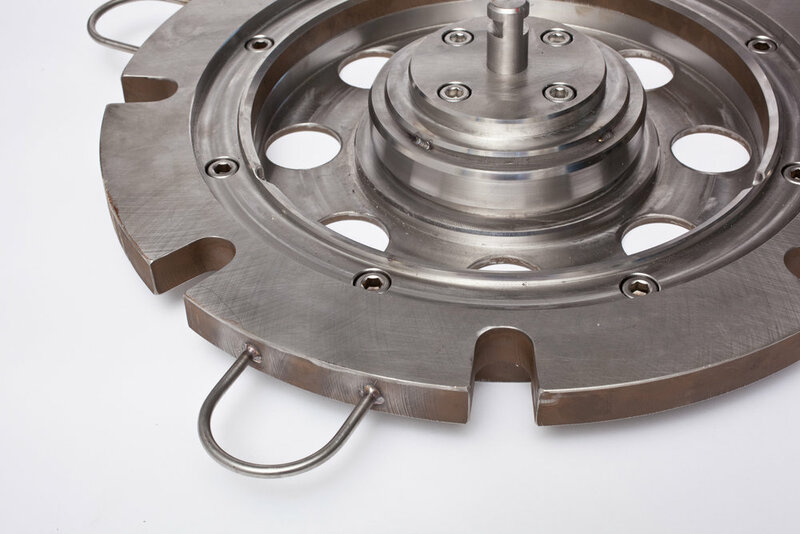 The fixture, typically made from 316 stainless steel, expands at a higher rate than the cast part, forcing the casting into its proper shape which is maintained as the part cools.